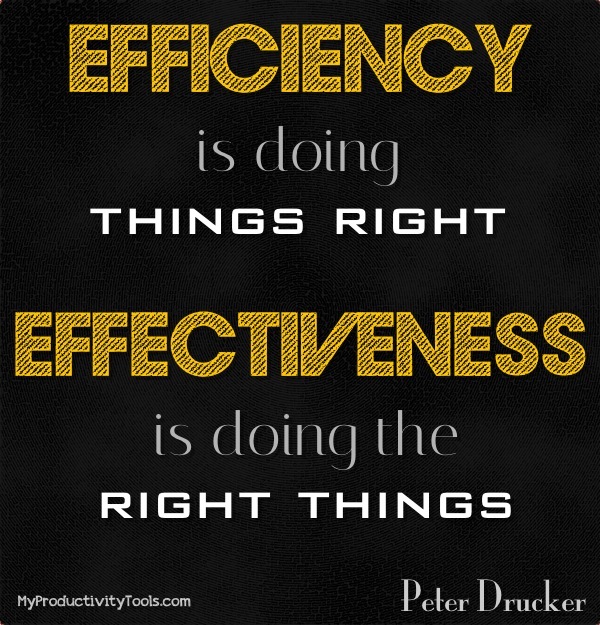 When I learnt the difference between being effective and being efficient, it really opened my eyes. I learnt the difference at a work training workshop but soon realised that everyone can benefit from knowing what the difference is and how to apply it. For those who don’t know how to define the two words, this is how it was defined to me. Being efficient means to chop it down as quickly as possible. Being effective means to be sure to chop the right tree. 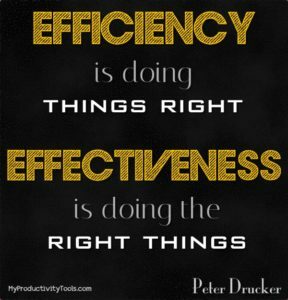 So it is important to be both efficient and effective but the order is also important. You must exercise being effective before being efficient as there is no point realising you’re chopping down the wrong tree after you’ve done it. So Effectiveness before efficiency is the key. Efficiency is not always about how quickly we can get something done, it can also be about, cutting out bureaucracy, being organised and seek training to do something. It is safe to say, efficiency is very much focused on the individual tasks of the person, team or organisation, where as effectiveness is more focused on the overall performance of the person, team or organisation.